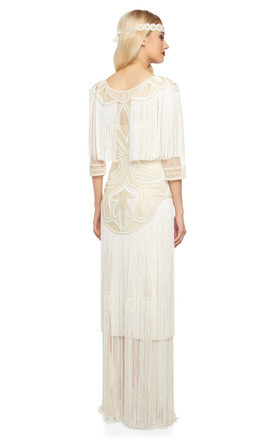 Inspired by the glamor of the 1920s Art Deco Era. 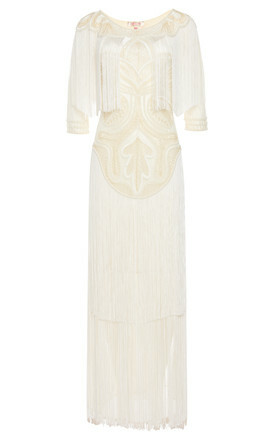 Detailed intricate hand embellishment adorns the sheer top layer of this beautiful Art Deco embellished dress. 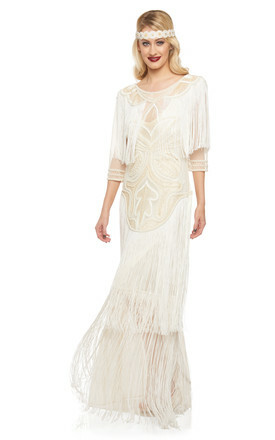 Getting your dance on is simply thrilling in this flapper art deco dress. This stunning Wedding Gown is perfect for every occasion, Great Gatsby themed parties and weddings. Please note - All pictures were shot in studio with studio lighting, therefore the actual colour of the garment may vary due to the nature of the garments reaction to light. Please feel free to contact us for further information. 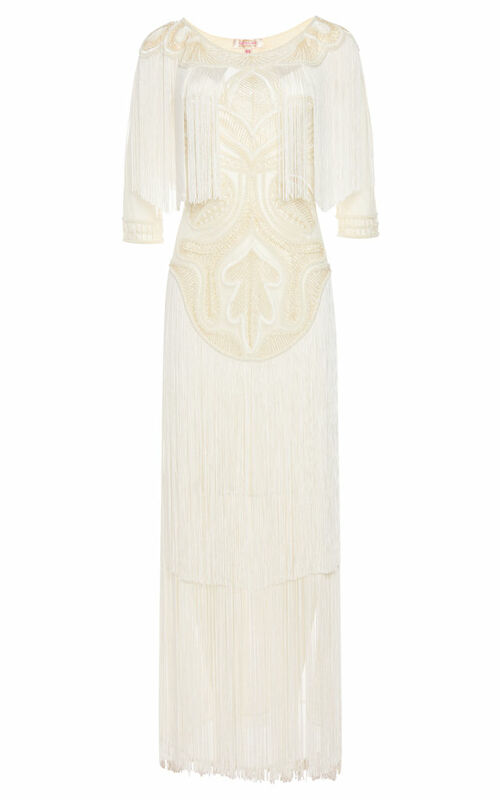 size UK8 EU36: Bust 34/35" Waist 28/30" Hips 38/39" Length 59"
size UK10 EU38: Bust 36/37" Waist 30/32" Hips 40/42" Length 59"
size UK12 EU40: Bust 38/39" Waist 32/34" Hips 42/44" Length 59"
size UK14 EU42: Bust 40/41" Waist 34/36" Hips 44/46" Length 59"
size UK16 EU44: Bust 42/43" Waist 36/38" Hips 46/48" Length 59"
size UK18 EU46: Bust 44/45" Waist 40/42" Hips 48/50" Length 59"
size UK20 EU48: Bust 46/47" Waist 43/45" Hips 50/52"Length 59"
size UK22 EU50: Bust 48/49" Waist 46/48" Hips 54/56" Length 59"
size UK24 EU52: Bust 50/51" Waist 48/50" Hips 56/58" Length 59"
size UK26 EU54: Bust 52/53" Waist 50/52" Hips 58/60" Length 59"